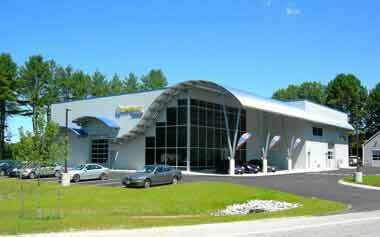 Autowerkes Maine is the #1 independent repair facility for European automobiles in the State of Maine. We have over 26 years of experience servicing BMW, Mercedes Benz, Porsche, Audi, Mini Cooper and Volvo. Autowerkes Maine has earned a reputation for being an exceptionally honest repair facility that charges fair prices and does excellent work. That is why we have customers that have been doing business with us for over 20 years. As you can imagine, the overhead for a repair facility is a big concern. We concentrate our expenditures on what it takes to fix cars. That means key well trained personnel, the best up-to date equipment and a clean functional facility. Autowerkes Maine-The Best in Maine Auto Repair! Since its creation in 1985, Autowerkes Maine has earned its reputation as the authority for European automobile repair. We utilize all the latest technology and computerized (factory) diagnostic systems, and complete both simple and comprehensive auto repair services for greater Portland and Mid-Coast communities. As a BOSCH authorized service center, we have the experience, equipment and expertise to repair and service these fine automobiles. We also deal with everything these cars ever need and are not limited in our capabilities. The Autowerks is a clean professional shop. It may not be the least expensive shop in greater Portland but they know their cars and take care of yours as if it was one of their own. Thank you for the kind words and we always strive to exceed your expectations. Had a part ordered and installed while I waited on my 2017 Alltrack with IS20 turbo, APR downpipe. Car is amazing, thanks Mike and all the staff! Superb friendly service, and great workmanship. Would recommend without hesitation. Credit Within Reach. Special Financing Available.